Welcome, Hog Roast Coniston is a name you’ll be hearing a lot of in future if you haven’t already, that’s because we’ve created a paradigm shift in catering with our remarkable spit roasts and hog roast catering. 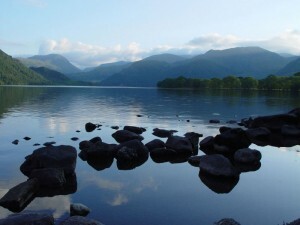 At a time where conceited caterers have been trying to outdo each other under the influence of fine dining, replacing ice cubes with ice ‘pyramids’ because as we all know ice cubes are uncouth, we on the other hand have offered Coniston a welcome change. Real food, real service and at real prices. Our spit roasts and hog roasts are delectable on another level, people want us at their event because they know that there’s nothing quite like the excitement or taste of a traditional hog roast. We cook everything from hog roasts by themselves to hog roasts as part of a large sit down meal. An appetitising, well thought out collection of menus is at the heart of every good catering provider, the problem for many is that very few caterers have menus that jump off the pages and speak to your tastes and visions. The solution for most is Hog Roast Coniston and we’re hopeful that in your case we’ll have menu packages that sound just as amazing to you and your guests as they do us. In fact, without wanting to jump the gun, we’re almost sure that we will, because Spitting Pig has an assembly of meals and menus that no other pig roast Coniston machine does. To scratch only the surface, Spitting Pig has four menu categories that are designed with the specifics of your event in mind. Each category within has an enthralling choice of different menus to narrow down even further and find exactly the right menu size and menu type that your event needs. 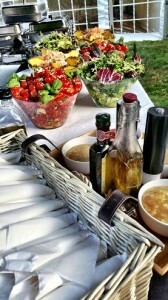 At present we have a category for Party events, Business Events, Wedding events and Christmas events. These menus are constantly being created and reworked with client event satisfaction in mind. There is 20 plus Spitting Pig menus, we’re confident you’ll be excited by the menus we have to offer, as each menu comes with different qualities for different event purposes. Turkey, Lamb, chicken, a chicken kebab, even a sirloin of beef – you could have any of those in place of pig, they each come with their own unique flavour-enhancing extras. There’s an option with Menu 2 to have 100% British beef burgers and gourmet chefs sausages on crusty bread rolls instead. A good Hog roast Coniston will drive plenty of event interaction as all event catering should, your guests will have loads to talk about. Good hog roast Coniston catering is what you make of it, in one respect it’s simply about feeding your guests and keeping them happy, but on the other hand it has other benefits, breaking the ice at an event being one of them that Spitting Pig catering often does. It’s almost guaranteed that when your guests catch wind of the enticing hog roast scent, turn and set their eyes upon a whole pig roasting on top of a traditional, stainless steel hog roast machine, that they’ll have something to talk about, even with strangers. But don’t worry, we promise the hog roast won’t take all the attention from the purpose of the event itself! 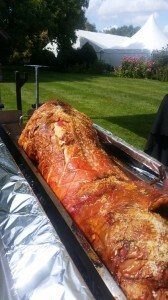 You can call us for a Hog roast Coniston event catering quote. What sometimes happens when people read our website and look into hog roast and spit roasting specifically is they realise that not only does it sound like it tastes great, it sounds like it would be a massive amount of fun,and so people often end up thinking ‘What’s stopping me from making a hog roast?’ and the answer is nothing, actually, we’ll even help you make one by hiring you the machine. Hog roast hire Coniston comes in a few varieties. The machine models you can hire vary and have their own plusses and minuses, we can tell you what they are when you phone to enquire. The other machine hire variety is in the length of time that you decide you’ll be needing to hire a machine for. If you need an event for one event then you’ll want our shortest, 1 day hire. But if you really want to see what our Hog roast hire Coniston machines are about before buying then we can hire you a machine on a monthly basis, until you’re in a position where you’re happy to or can afford to buy a Spitting Pig machine outright.